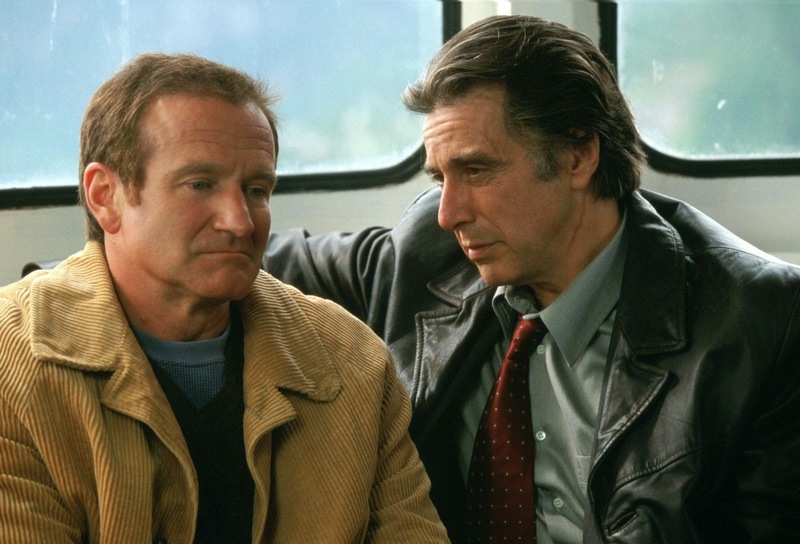 The Rockport Film Review: The Darker Side of Robin Williams "Insomnia"
After his breakout hit "Memento" director, Christopher Nolan was given the job of remaking the Swedish murder mystery "Insomnia" starring Al Pacino, Robin Williams, and Hilary Swank. Nolan did not disappoint and was eventually given the job of rebooting Batman franchise and is currently one of the most in-demand directors in Hollywood. Detectives Will Dormer (Pacino) and Hap Eckart (Martin Donovan) are L.A. detectives sent up to a small isolated town in Alaska called Night Mute to investigate the murder of a teenage girl. The town is far enough north that the summer sun never sets. They are welcomed by a bright young officer named Ellie Burr (Swank) who idolizes Dormer. The reason they've been sent on this assignment is to take a break from an ongoing internal affairs investigation back in L.A.. Happ wants to make a deal while Dormer will do everything in his power to fight it. The film starts out like your average police procedural, our victim is Kay Connell a local teenage girl whose body was found in a dump. Although upon inspection of the body her hair was washed and her nails were trimmed by the killer. Randy the boyfriend and Tanya the best friend are interviewed. After the discovery of Kay's book bag Dormer sets a trap only the murderer could fall into. This leads them to a cabin on a rocky beach and chases through a dense fog. Shots are fired, a local cop is hit. Dormer gives chase and fires upon a shadow in the fog, its Hap. Looking up at his partner Hap thinks he was shot on purpose to prevent him from taking the IA deal. Dormer realizes the situation and the cover-up begins. Dormer is unable to sleep during the investigation, but is it because of the constant light or a guilty conscious? After studying the evidence of Hap's shooting Ellie has questions and doubts of her own. During another sleepless Dormer gets an anonymous call from the girls killer (Williams) who saw him kill Hap. He wants to make a deal since they are in similar situations. Dormer discovers that the man is a local author named Walter Finch. He was friends with Kay, he bought her stuff, listened to her poetry but it never went any further than that. The films best scene is when the two men decide to meet up on a ferry boat. Pacino has a tendency to be a little over dramatic, becoming a parody of himself. Robin, on the other hand, is calm and calculating. He is not a murderer, things just got a little out of hand. It was an accident, or was it? They try to blackmail each other but in the end, things end up as they should. The character dynamics in "Insomnia" are intriguing and I know its a giant cliché but the Alaskan setting is a huge character in itself. It helps drive Dormer to the brink of insanity. The truth gets hidden in the dense fog. The atmosphere is heavy, cold, and wet with Ellie being the only ray of sunshine. 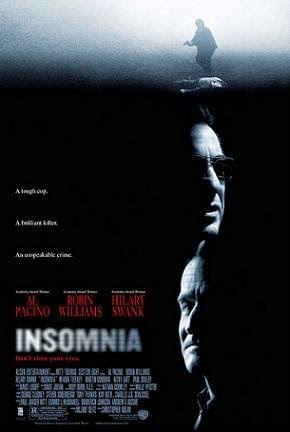 "Insomnia" is an amazing film and another opportunity for Robin to explore his darker side.